The Drumatom from Accusonus and Plugin Alliance. 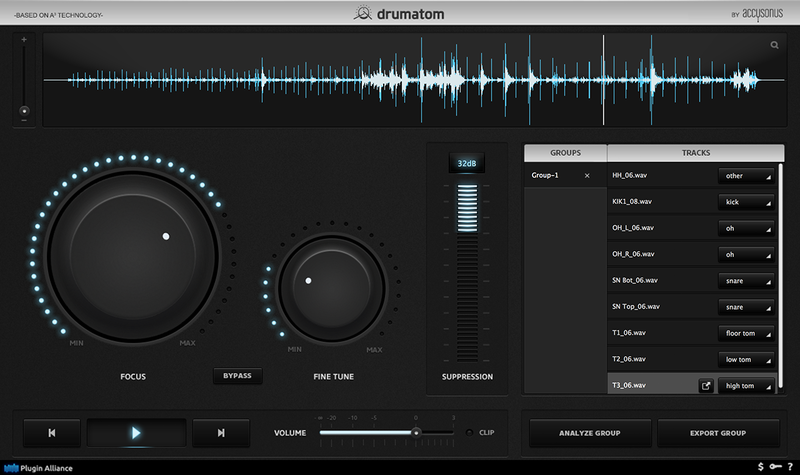 Drumatom is a new product from the innovative Greece based company Accusonus. It is a standalone product that is designed specifically to remove leakage in live drum recordings. Usually gates/expanders and filters are the weapons of choice when dealing with drum leakage and the Drumatom will definitely be added to that list. "Drumatom is the world's first microphone leakage suppression tool for multichannel drum recordings! It is based on the patent pending Advanced Audio Analysis - A3 technology and is the result of many years of research and development work." Drumatom costs $399 at Plugin Alliance. Download the demo and give it a try. Let me know what you think.